When you’re ready to switch up your setting by taking a trip away from your usual South Bay views, it can seem overwhelming at first. Leaving your property unoccupied for any amount of time can put you at unease, but what about when you take a week of vacation – or longer! Empty homes can be prime targets for thieves and robbers. So, what can you do? Get back to enjoying your time off with friends and family, and spend less time stressing about your living space. 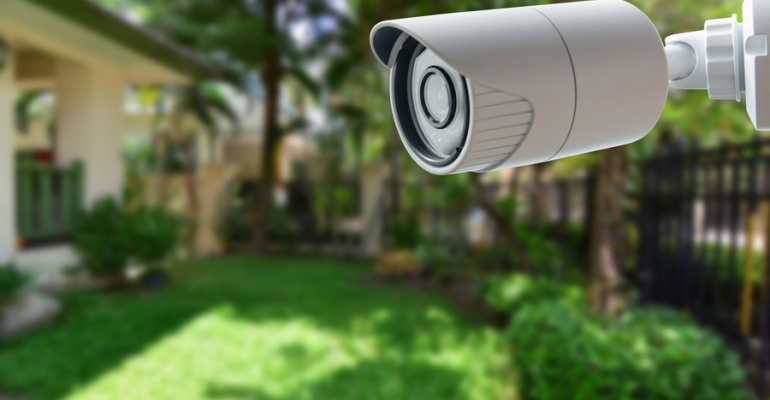 A home camera system is the perfect solution to ensure that your house is safe and protected from when you’re there to the moment you walk out the front door. In this blog, we’ll go through some of the best benefits this technology features that can make leaving your home a stress-free ordeal. Keep reading below for more! Whether you’re lounging on a beach still in sunny California, or you’ve gone across the country or even the globe, you can rest assured your home’s status is just one button click away. Strategically placed cameras will show you even the areas of your home you might not think to check in on normally. But while you’re chatting with friends or reading a good book, you can easily open your smart device of choice to look at the camera views. Watch real-time footage or go through various pre-recorded shots your cameras have picked up so you can stay tuned in. You can install motion sensors as well, so your cameras can pan or zoom in on any activity detected and can alert you if anything suspicious is happening. You have the ability to manage your cameras and tilt and move them to see everything you’d like, both in and out of your home. The control is all in your hands, right on your smart device. Homes that stay unlit and look unoccupied appear very inviting for intruders. With a lighting control system, you can set up “scenes” that make your home seem full of life and people. Lights will turn on and off throughout the day, mimicking your daily routines and steering robbers away. But what about integrating your lighting with your surveillance cameras? When your cameras sense movement or when they move to capture an unwanted guest, your outdoor lights can flood an otherwise dark area so that you not only get a clear image of the intruder but will also scare them away with the bright lights. The moment your camera sensors detect something is going down on your property, they’ll snap the footage, and you can receive an immediate alert to your smartphone or tablet. It’s easy to open your smart device and watch the video clips and assess whether or not you’d like to take action, call the police, or pan and zoom your cameras around to see more of the situation at hand. Make your vacation how it’s supposed to be – relaxing, and with home as the last thing on your mind. Know that it’s always in good care with your home camera system in place. Want to learn more? Give us a call or fill out our online contact form to schedule a no-obligation consultation with our team. We’d love to hear from you.